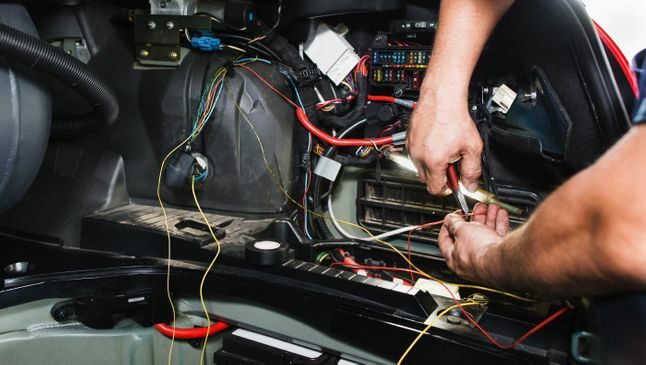 When your car is experiencing issues with its electrics, get in touch with a skilled auto electrician to provide the solution. I'm Brian Dolan, an experienced car electrician in Egham, Surrey, who provides a range of essential services for car electrics. Covering installation, maintenance, and repairs, I work with domestic and commercial cars, including taxis, Hackney cabs, kit cars, and classic vehicles. By offering a complete installation service for car alarms, electric windows, and central locking systems, I will ensure that your vehicle is both secure and protected. In addition, I offer a fitting service for tow bars, horse boxes, and trailers. The Brian Dolan servicing package includes maintenance and repairs for a vehicle's electrical systems. This covers lighting, starter, and alternator issues in addition to any start-up problems you are experiencing. Contact me now, in Egham, Surrey, to receive assistance with your car electrics from a skilled auto electrician.